By this time tomorrow, I'll be on my way to Houston, TX for the LATISM'12 conference. I am bursting with excitement! I am excited to see my friends. I'm excited about working with Johnson & Johnson and sharing their 'global motherhood' initiatives! You can read about that HERE. I'm excited to be speaking on Blogging 101 panel/workshop on Friday at 2pm. The agenda is HERE. I am SUPER EXCITED to be nominated for a LATISM Award! I am nominated for the Best Latin@ Health Blogger Award. You can vote for me by just clicking HERE. And I'm excited to be rubbing elbows with published authors. As a grad student who is THIS CLOSE to an almost to graduating. I'm thinking thesis. I'm thinking I want to be published. And I am eager to learn from those who are willing to share their knowledge. They will be selling and signing their books during the Friday and Saturday lunchtime - about 12:30. 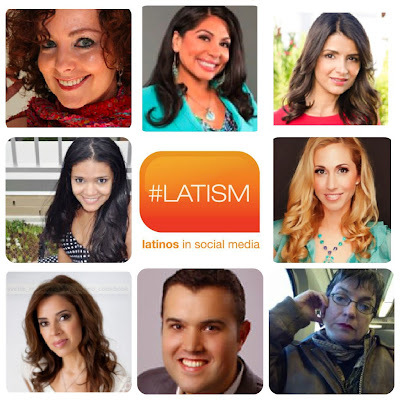 So who are the published authors of LATISM? Author, speaker, and founder of The Red Shoe Movement, an initiative to invite women to wear red shoes to work on Tuesdays to show their support for women career advancement, Mariela has authored several award winning, best-selling books to help Latinos navigate the American system, including Poder de Mujer. As an international speaker, Mariela has presented at General Electric, Citigroup, AIG, Exxon/Mobil, HBO, Goldman Sachs, Verizon, JPMorganChase, McDonald’s,Harvard, Yale and Columbia, Multicultural Women Conference, among others. As the National Spokesperson for McDonald’s Latino Education program for several years, Mariela presented workshops for parents and students across the country. Also, in 2009, Mariela created Latinos in College, the first all encompassing platform to help Latino student succeed in college (www.latinosincollege.com). magazines. She is currently the West Coast technology expert for Verizon Wireless touring the nation empowering Latinos to transform their business, career and life through technology. Founder of Latina Bloggers Connect, a boutique social media agency where she creates strategic digital campaigns connecting brands and bloggers, Ana L. Flores has over 15 years of experience as a content creator and television producer, with a specialty in the U.S. Hispanic industry. After becoming a mom, she co-founded SpanglishBaby, the go-to online community for parents raising bilingual and bicultural kids, which was chosen as a Must Read Mom’s Blog by Parenting Magazine, as well as Babble’s Top 100 Mom Blogs of 2011 and Babble’s list of Top 50 Twitter Moms of 2011. Her most recent honors include being named one of “6 Bloggers to Watch” by USA Today’s Hispanic Living and Best Latin@ Social Network Leader at LATISM 11 Awards. 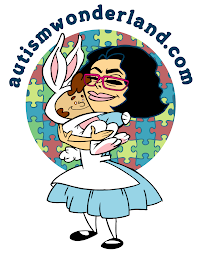 SpanglishBaby’s success led Ana to co-author her first book, “Bilingual is Better.” Ana is now also a regular blogger on Babble Voices. Sujeiry Gonzalez, often referred to as “The Latina Carrie Bradshaw,” is a funny and vibrant relationship expert and writer that tells it like it is – with just a little more sass and ton of laughs. Rocking the relationship market since 2006, she’s been featured on Galtime, Cupid’s Pulse, YourTango, VOXXI, Divine Caroline, Yahoo Shine, Latina Magazine, Mamiverse, and JDate, among others. Her comedic personality, unique voice and irrefutable talent have also granted her the opportunity to share her relationship highs and lows with a number of media channels, including: PIX Morning News, The Kari Adams Show, and Mega 97.9FM. Sujeiry’s newest coup is SY PLay Things – an online lingerie store that values women and the power of self-first. There’s also the launch of Love Trips: A Collection of Relationship Stumbles - a poignant and witty collection of personal essays, in which she chronicles her relationship stumbles, serving as the ultimate what-not-to-do relationship book for women. An award-winning journalist, internationally recognized parenting writer, and leading Latina blogger, Jeannette Kaplun has over 17 years of experience on TV, radio, online media and as a published author. She also provides insights into the Hispanic market and helps leading brands reach Latinas in the US. Born in El Paso, Texas, and raised in Chile, Jeannette is truly bilingual and bicultural. Currently she is busy launching her newest project for Hispanic women, HispanaGlobal. In 1999, she cofounded Todobebé, and co-hosted the Emmy-nominated network TV show ¡Viva la Familia! de Todobebé for four seasons on Univision. Before that, she hosted the Todobebé show on Telemundo. She is also the author of Todobebé: Todo lo que necesitas saber para el primer año de tu bebé (Rayo, 2006) and blogs for Babble Voices. Most recently, she was named a Social Media Fellow by the UN Foundation. Mother, wife, cookbook author, graphic designer, blogger, and food enthusiast from Denver, Colorado, Yvette was raised in El Paso, Texas and has developed a deep passion for promoting her grandmothers old-world northern Mexican recipes and mothers comforting south of the border home-style dishes. Her blog and published cookbook, Muy Bueno, blossomed into much more than a place to file her family recipes. She now works as a recipe developer with IMUSA and Avocados from Mexico. Besides her blog, Yvette has also been featured in Latina Magazine, and the websites of Paula Deen, The Pioneer Woman, SAVEUR, and Gourmet. “So what’s your story and what did you learn from it?” is Alberto Sardiñas’ most important question to people everywhere he goes. Each night, this Univisión Radio host takes calls from listeners who look to him as a friend with whom to share their life experiences of uncertainty, sorrow, hope, or happiness on his nighttime show, “Íntimo.” Thousands of people listen to him nightly and watch him as a contributor on network television shows (Despierta America, Tu Desayuno Alegre and others), and his articles are frequently published in leading magazines and blogs. As the author of the book “The Power of Your Story,” Alberto shares 40 of the most powerful, real-life, short stories told to him by his listeners, in addition to personal experiences he had never shared before. Each anecdote is followed by a conclusion that emphasizes the lesson learned. Alberto has a Master of Business Administration (MBA) from the University of Miami and a Bachelor of Arts (BA) in Communications from the Catholic University Andrés Bello in Caracas. Born in Bangkok, Thailand and the daughter of a Mexican-Guatemalan artist and an American businessman, Sabrina grew up in Guatemala and moved to the United States when she was fifteen. She is the managing editor of Al Día News, Philadelphia’s leading Spanish-language newspaper and writes for www.pontealdia.com in Spanish and English. Along with her blog, Following the Lede (www.followingthelede.blogspot.com), which was was nominated for a Latinos in Social Media award in 2011, Sabrina writes speculative poetry and short and long-form fiction. Her writing has appeared in Dappled Things, Graham House Review, Scheherezade's Bequest at Cabinet des Fées, La Bloga's Floricanto, Poets Respond to SB 1070, Crossed Genres Issue 24, among others. Her novel, Ink, was published by Crossed Genres Publications Oct. 15, 2012. What The Heck Do I Pack for LATISM? ¡Ayúdame!